Each year, countless individuals and families immigrate to the United States in hope of a better life. Whether you came for work, to pursue education, or to find a stable living situation, it is important for you to know you have legal rights as an immigrant. A qualified immigration attorney can make it possible for you to fulfill your dream of coming to America or help you obtain citizenship once you arrive. 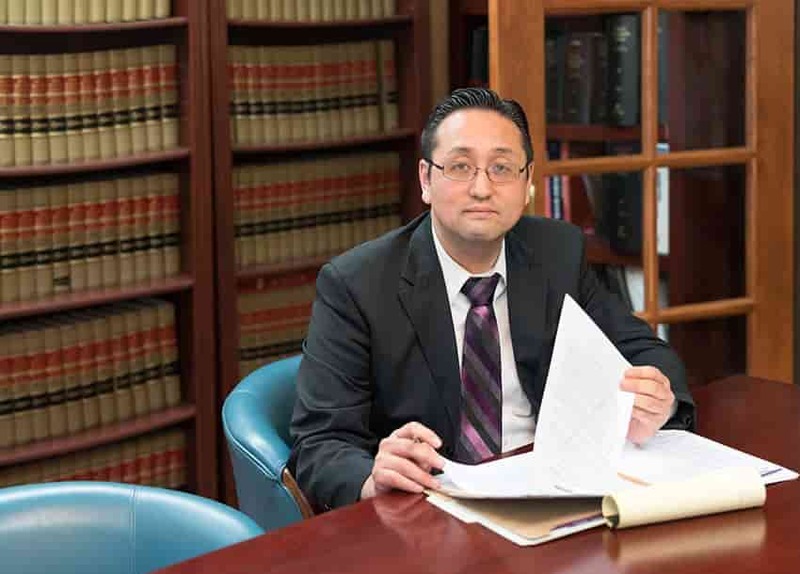 The Law Office of William Jang, PLLC has a proven history of helping families achieve the American dream, and we want to make your green card, visa, or citizenship application successful. Our Austin immigration lawyers have combined decades of experience and understand the complex details of immigration law. We are based in the Austin area and work with people who come from all over the world. Our goal is to provide effective and affordable legal services to immigrants and we have helped individuals in a wide variety of circumstances. If you are interested in learning more about what we can do for you, consider sending us a message online, using our convenient live chat services, or calling us at (512) 323-2333. Do not wait until it is too late to take action; get in touch with us as soon as possible. Court proceedings: It is an absolute necessity that you seek legal help if you are involved in immigration court proceedings. Your immigration status is probably in jeopardy and an experienced attorney can help you determine where you stand and what you need to do next. Inadmissibility: There are numerous reasons you may not be allowed to come into the United States, including past criminal charges, certain communicable diseases, and previous immigration violations. An immigration lawyer could help you seek waivers for some of the reasons you may not be allowed in the country. Delayed Application: If some part of your application is taking months to move forward when it should have taken weeks, it could be the fault of United States Citizenship and Immigration Services (USCIS). Anyone who has dealt with USCIS knows how frustrating it can be, especially if your application is delayed. A lawyer can help you get information about what is happening and offer advice and aid to get your application approved. Overwhelming Paperwork: Almost all interactions with USCIS begin with some level of paperwork. In some cases the forms are simple, but more often than not, individuals find filling out this information to be stressful and frustrating. To save yourself time and make sure your application is completed properly, seek legal assistance. Almost everyone falls into one of the categories above. Immigration law is notoriously complicated, confusing, and difficult to understand, which is why we truly believe that seeking the help of an attorney would be useful for you. Let us handle the frustrating phone calls, forms, and waivers relating to your case. We want to give you peace of mind and get your case started or moving as soon as possible. Austin and San Antonio are both popular locations for immigrants. As such, there are many immigration lawyers in the area who could take on your case. What sets the Law Office of William Jang, PLLC apart is our dedication to compassion, details, and the success of our clients. We are known for going the extra mile and have even taken Skype calls with clients while out of the country. This level of care is the standard at our firm because our attorneys know exactly how important your case is and we want to assist you in any possible way we can. In addition, we have an unmatched understanding of multiple areas within immigration law. Our clients are from all over the world and in a wide variety of circumstances. We give each of their cases the personalized attention necessary to get results. To make the process easier for you, we have live chat options and easy ways to contact us available on our website. It is our mission to provide the highest level of immigration legal services in the area. While we know there are many good firms in the area, we want to put our combined decades of legal experience to work for you. There is not a clear answer to this question because every case is different. The lawyers at the Law Office of William Jang, PLLC aim to make our services available to everyone who needs help with an immigration issue. When considering the cost of an immigration attorney, it is important to think about what you could lose by not hiring help. For example, if you have steady work in the United States, it could be worthwhile to pay money upfront for an attorney so you can continue doing your job. Whether your desire for being in the country is related to employment, family, school, or personal reasons, an immigration lawyer is an invaluable resource. Contrary to the belief of some that immigrants are here to steal American jobs and taxpayer dollars, immigrants contribute a huge amount to the Texas economy. Our lawyers recognize the important contributions of immigrants and want to help immigrant families in any way we can. These numbers speak for themselves: immigrants are here to work hard and create a good life. We want to help make the American dream a reality for individuals and families. Contact our lawyers for more information or to get started with your case. If you are facing any issue related to your immigration status or application, do not hesitate to get in touch with an attorney. The lawyers at the Law Office of William Jang, PLLC have a commitment to individuals facing tough immigration situations and we want to fight for your rights. Whether you are trying to obtain a green card, renew a visa, or seek citizenship, you should not have to take on the issue by yourself. An immigration lawyer knows what it takes to get applications approved and can use that knowledge to your advantage. For help from an Austin immigration attorney, contact our office by calling (512) 323-2333 or engaging through our easy email and live chat options.